Get the information about the best Picnic Spots or most popular tourist spots in Bhadrak District of Odisha. If you want to know the List of Famous Picnic Spots in Bhadrak District of Odisha then see the below given list of best tourist Spots in Bhadrak and here you can also get the complete information about the Bhadrak Tourism, how to reach, where to stay and other major information about Bhadrak District of Odisha. Just follow this article to know the Picnic spots and major tourist attractions in Bhadrak. The temple of the Goddess Dhamrai is at Dhamara a small coastal town-ship,where the river Dhamra meets the Bay of Bengal. The place is about 60 Kms from the district headquarters in the eastern direction. It is surrounded by Chandbali in the West, Basudebpur in the North, Kalibhanjadia in the South and Bay of Bengal in the East. There are a number of folk tales and legends regarding the deity and the temple. According to one of the historical legends, one merchant namely Dhaneswar who often traded with the Singhalies (Srilanka) had brought a deity namely “Pashana Mangala” from Srilanka and had established the same at Dhamara on his way back home. This temple is quite popular among the tourists. This is a widely visited temple of the district. 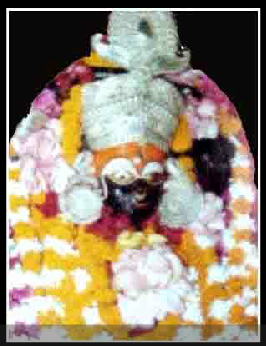 The exclusivity of this temple is that there are more than five hundred old clothes of Sri Chaitanya is present here. 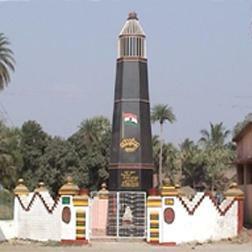 This famous place of sacrifice located at 16 km away from Basudebpur of Bhadrak district. One side of this land is bounded by the Bay of Bengal and the other three sides are surrounded by two rivers the Gameye and Kansabansa. Secured by these natural boundaries this place is used as a citadel by the freedom fighters. Due to these natural boundaries it is not so easy for the police and the administrative persons to enter in to this place. More over there is an open field bounded by three sides with one gate in its north east direction, which was used by the freedom fighters as a place of public meeting. Starting from 1920 prominent nationalist leaders of ODISHA like Utkalmani Gopabandhu Das and Utkal Kesari Dr. H.K. Mahatab perform public meetings at that place for several times to propagate the Gandhian ideals of freedom struggle. Dhamara Port is an ancient port on the banks of the river Baitarani, around 5 kms from Kanika Palace. The reminiscent are the direction tower and some ancient structures. The nearest railway station is Bhadrak which is 62 kms away from Dhamra on Chennai to Howrah line. Bhadrak is 143 kms from Bhubaneswar and 297 kms from Howrah. A single track broad gauge line has been constructed by DPCL from Bhadrak or Ranital Link Cabin to Dhamra. Dhamra is connected by road with Bhadrak 82 kms, the nearest major town on the National Highway 5. The distance between Dhamra and Bhubaneswar is 205 kms. 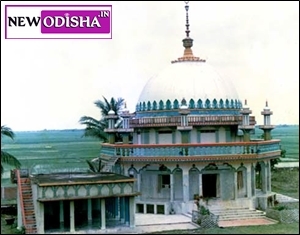 Chandbali is 50 Kms away from the district hedquarters of Bhadrak. It is located on the bank of the holy river Baitarani. In pre-British period Chandbali was a small village inhabited by fishermen on the bank of the river Baitarani.It was also used as a natural river port by the local peoples. In 1866 communication to Bengal through water way was established from Chandbali.In 28th March 1881 the natural port of Chandbali was declared as a govt. port by the British govt. After that the flow of outsiders mainly from the business community started towards Chandbali. This led to the growth of Chandbali as a Agro-based merchants centre. Some of the remains of the British period like Cannon and Anchor still found at Chandbali reminds one of those days. athire total picnic spot a6i? Anya district ra picnic place add kalani bro? Bilana’s Ananta Madhav jiu temple is really an amazing temple where a great statue of Lord Narayana present with Ananta Naga . 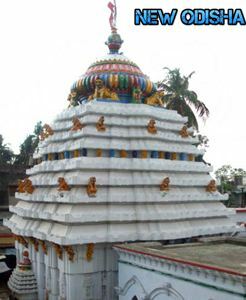 It seems as if it is a temple of 11 the century but I don’t know why people don’t have knowledge about this .So please pay attention to this temple so that a new page of development of Odisha tourism can be attached.jai Ananta Madhav jiu.jai Jagannath. Give Responses for "Famous Picnic Spots in Bhadrak District of Odisha"